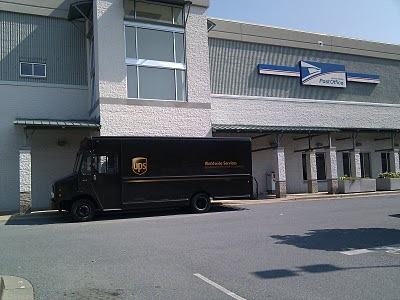 I was leaving the post office (the one by Montgomery Mall) this morning and I see a UPS truck out front. I'm thinking the UPS guy needed to mail a letter which seems humorous to me. I've always heard the UPS doesn't ship to post office boxes so I was surprised to see the UPS driver unloading a whole hand truck full of small packages. How very odd. 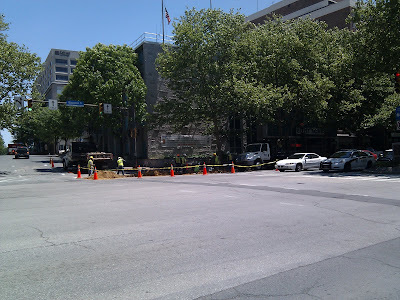 I was at the Safeway on Old Georgetown Road in Bethesda, MD yesterday. They had apparently done inventory because there were a bunch of shelves which had paper signs saying "overstock" on them. Not all the food on these shelves had prices. 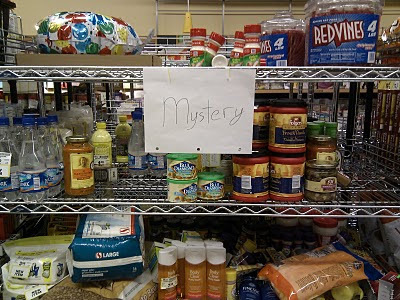 On rack of shelves, however, was more enigmatic, it's sign had the single word "Mystery" scrawled across it. The housing market around the country has been pretty week for the past couple of years. 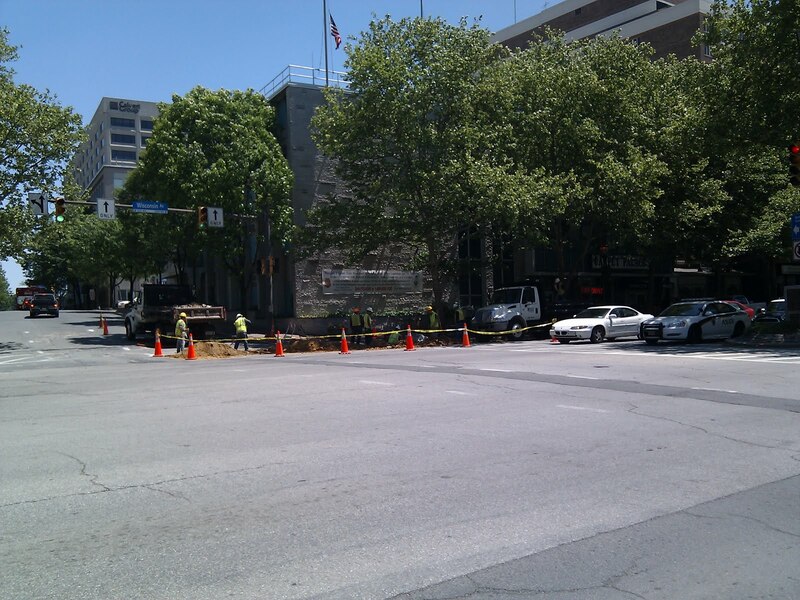 Bethesda, MD has held up much better than the rest of the country, even so, it has been impacted. 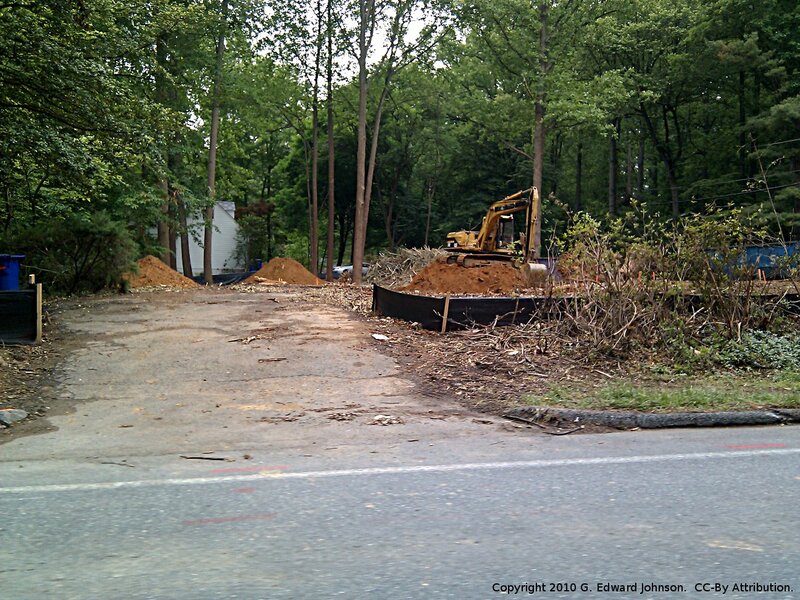 Pre-2008 I saw lots of houses either being torn down and replaced or expanded to such an extent the original house was unrecognizable. The pace of teardowns significantly slowed with the economy. 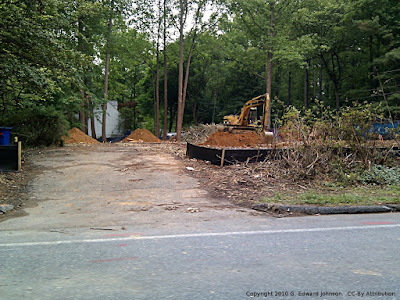 This week however, I was driving down the road and said to myself "There was a house there last week, where did it go?" It is hard to tell yet if this is an anomaly or a resumption of the trend.